"black and brown make a frown". Now this was mostly catered toward the men who tried to wear black suits with brown belts or brown loafers...a HUGE no-no in my option! Yikes! But It's something I've always remembered...and a rule I've decided to BREAK! 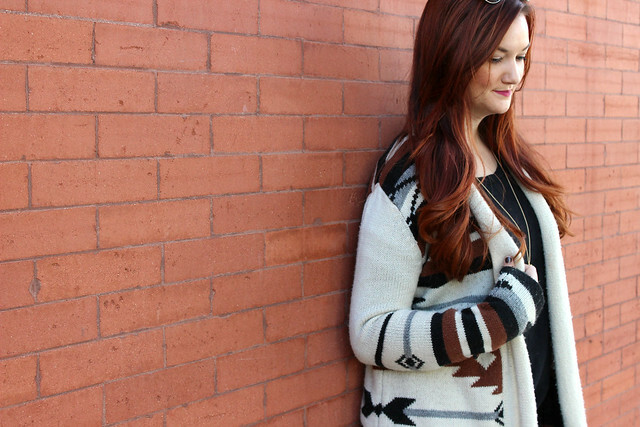 This black and brown Southwestern style print from BB Dakota is one of my favorite fall essentials. I love topping it over a simple sweater with jeans, and let the sweater be the show stopper. 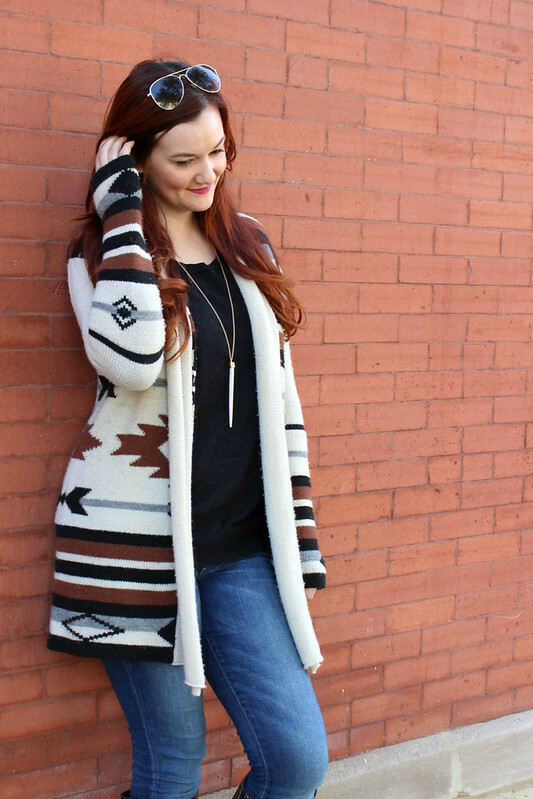 BB Dakota is known for these chunky, graphic, and incredibly comfortable Southwestern inspired sweaters. I love them so much, and they are so cozy! I have several different colors, and always get excited for fall because I get to wear them! These riding boots are so versatile for fall. The "dark coffee" color is the perfect shade of brown and pretty much goes with everything. The gold accents really make it POP! I've always wanted some gorgeous Michael Kors riding boots, but baby girl is on a BUDGET! Luckily, Nordstrom Rack came to my rescue and had these on MAJOR sale! I also want to introduce y'all to my blog wife, Chloe of Chloe's Cravings (seriously go check out her blog!) What's a blog wife, you ask?! Basically she's my super fabulous blogger person who completely gets me, the blog world, and we have an amazing time frolicking around and taking photos together! She's such an amazing sweetheart, and he style is on point y'all! Make sure and swing by her blog and check her out! She's an incredible aspiring actress and my blog wife!